I love using a tray or basket on my dining table so when I need space for dinner I can just lift this entire thing up easily instead of picking up individual pieces. All items above purchased from HomeSense. 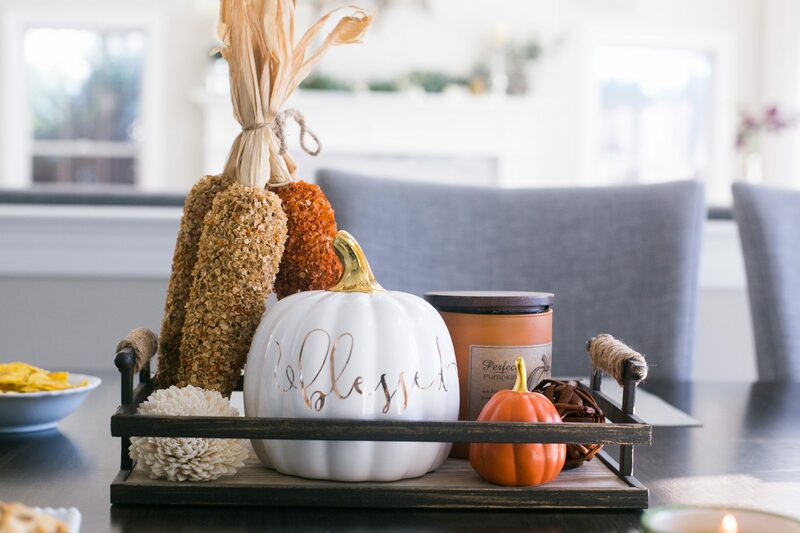 Shop the “Blessed” Pumpkin HERE. 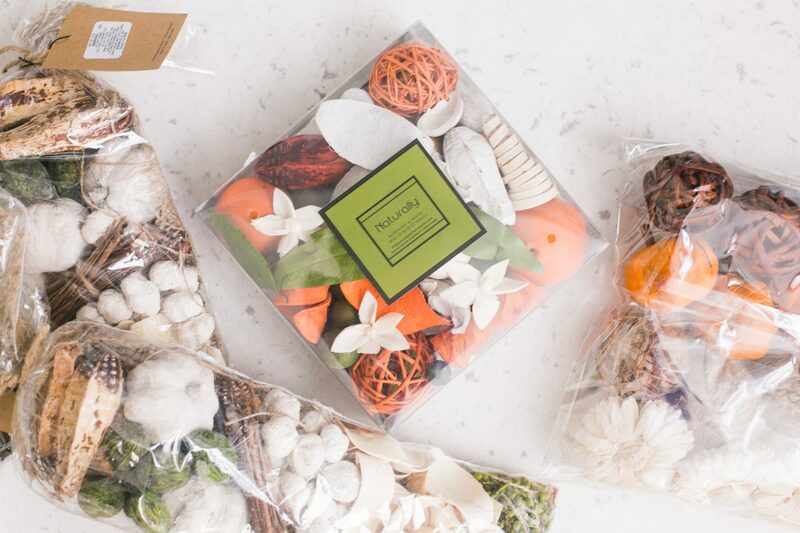 These boxed potpourri sets are great to add as “fillers”. 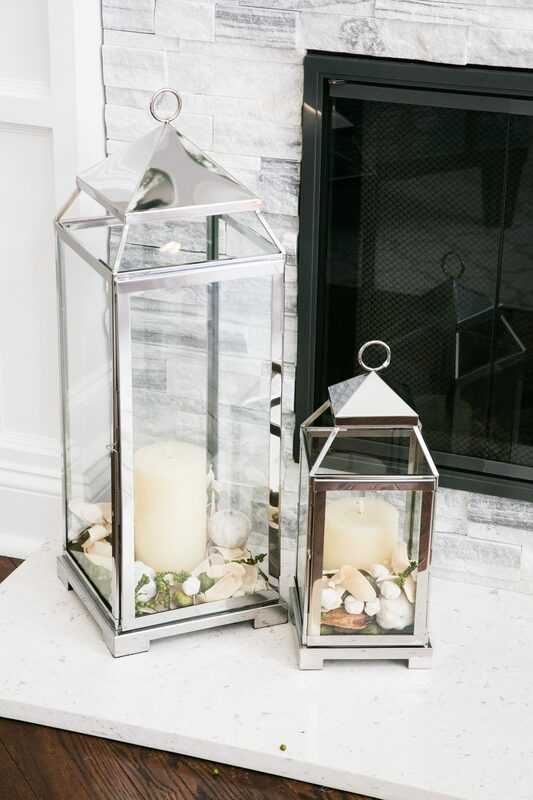 Place them in lanterns, serving bowls or in different sized glass vases for a quick and affordable centerpiece! I fill a small basket with them in my bathroom for some decor AND everlasting freshness! Shop HERE for similar small pumpkins or HERE. 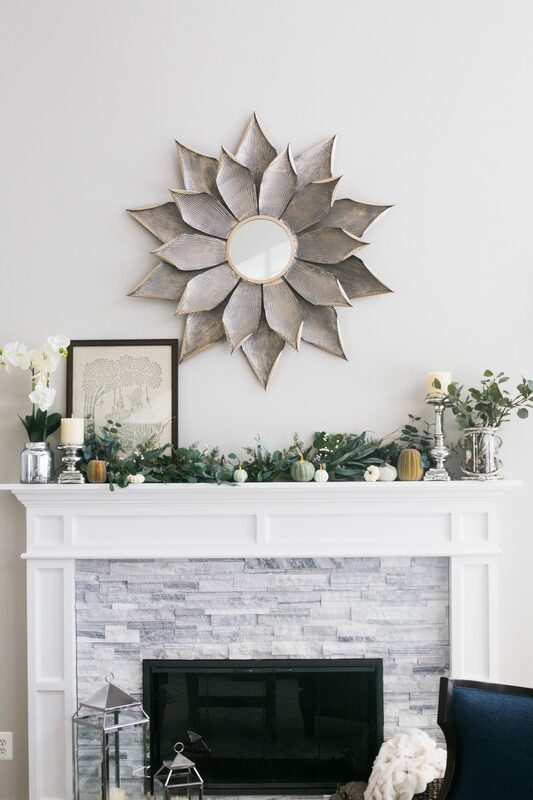 Decor Tip: When shopping for decor pieces, choose items that are similar to the color scheme of your home with only a few items to add a “pop” of color. 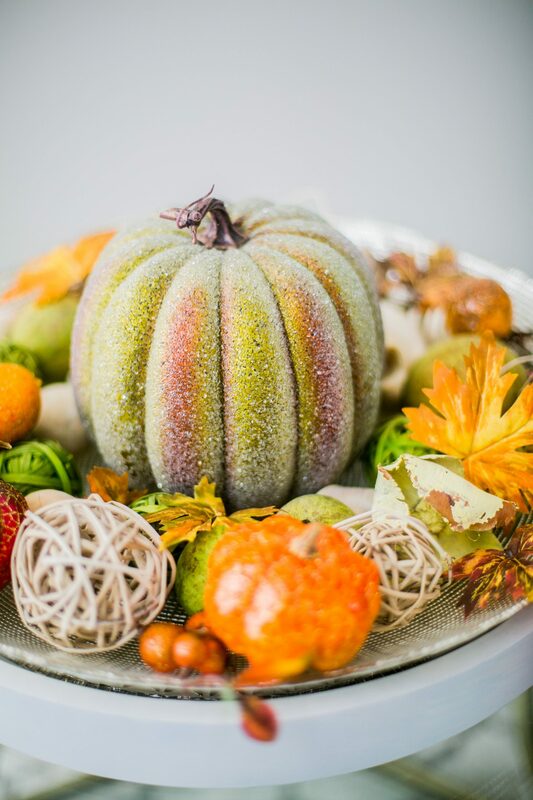 I always look for things in varying heights and textures to add dimension and character! 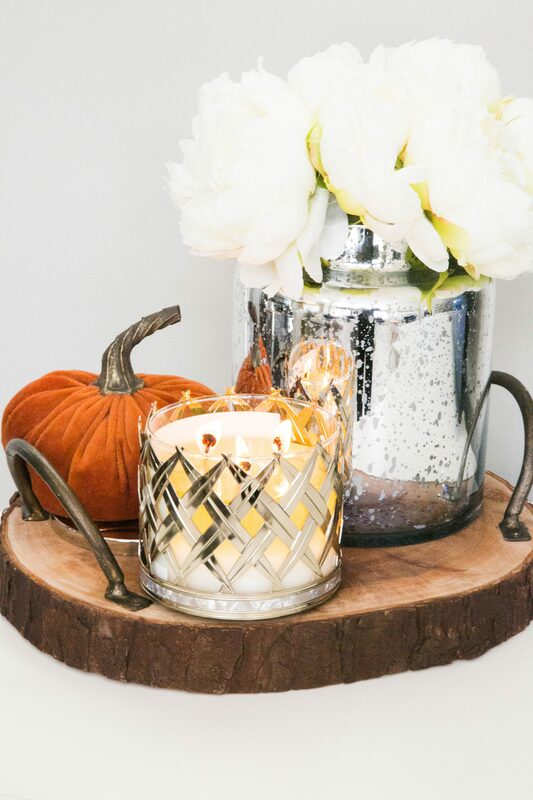 Most of my home is decorated with metallics/metals and very little “rustic” or wood accents so I use this as my little “pop”. 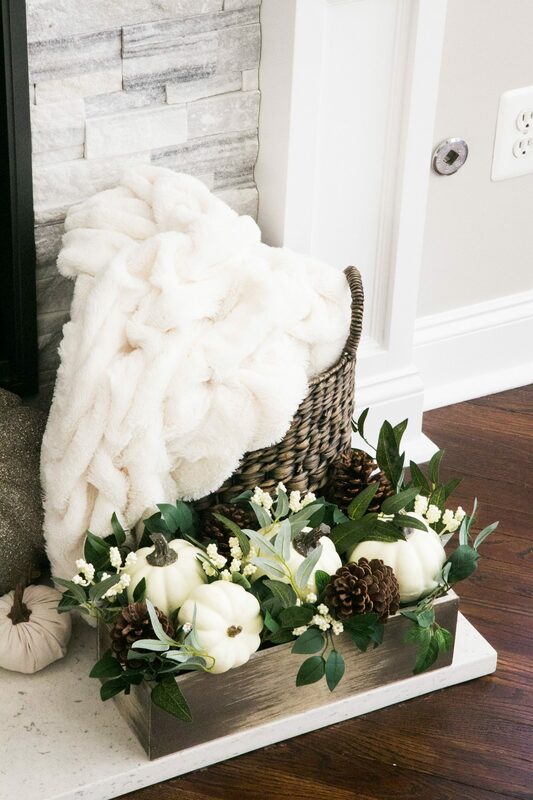 I love using small baskets to store my MILLIONS of blankets and it also serves as decor. 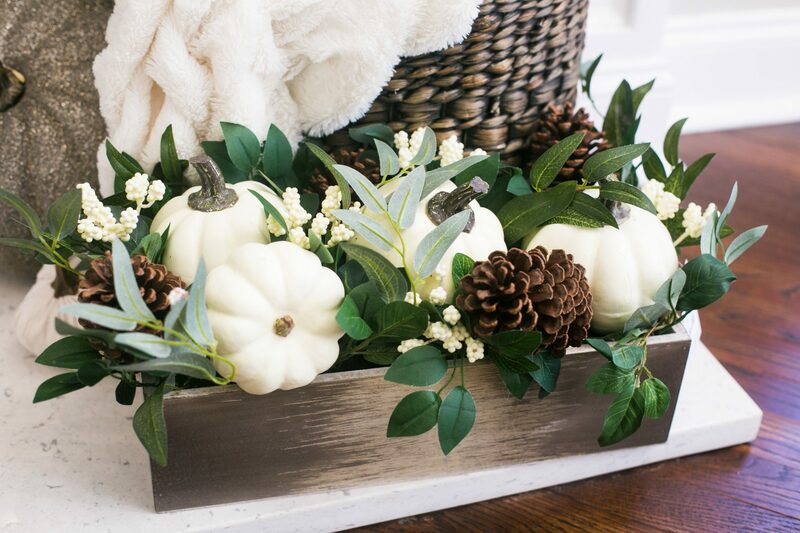 Planter box with pine cones and pumpkins is from HomeSense. Basket is from Home Goods. This is my side table in my family room. The large silver platter (from HomeGoods) remains year round but I just change up the “filling” based on the season! Trays like this one are super handy year round! 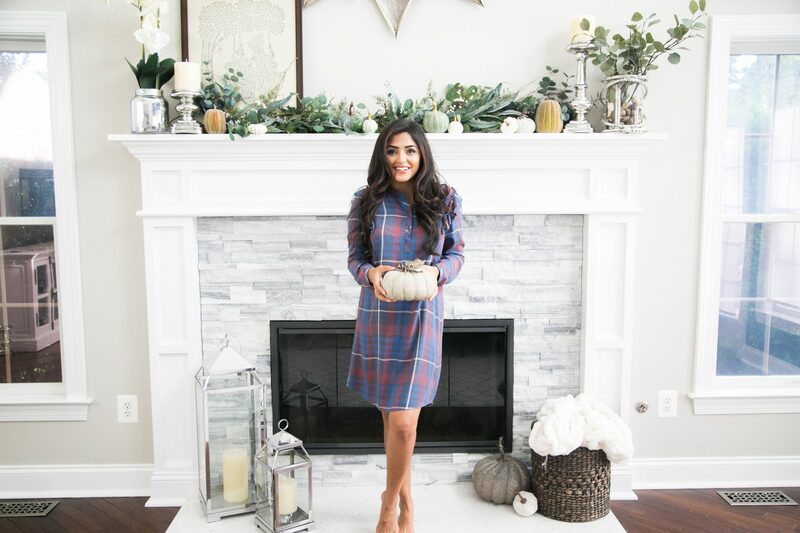 The only thing I’d have to switch out in this picture is the pumpkin and replace it with something season appropriate! 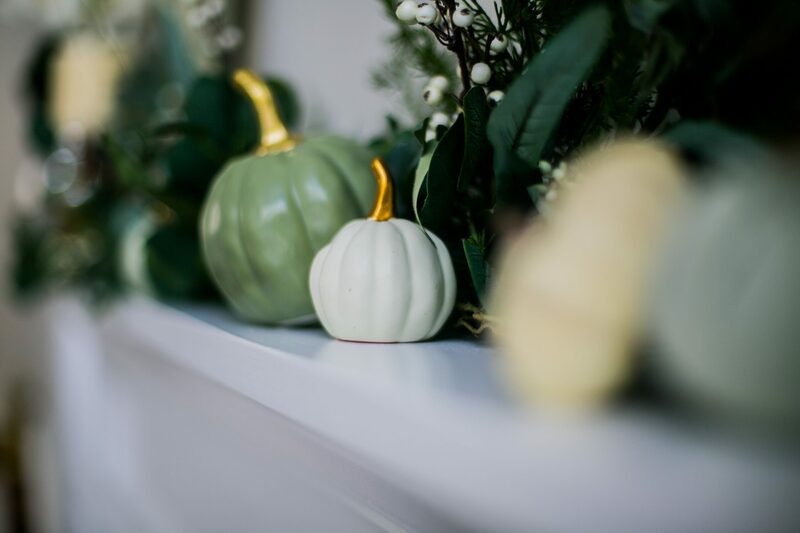 For example in the spring- you could replace a little easter bunny or for Christmas you could replace it with a large ornament or small Christmas tree! This tray can also be used to display appetizers when you’re not using it for decor (just put a sheet of parchment paper on top ). LOVE this post – please do more of these tpe and a home tour would be awesome! Awesome post! 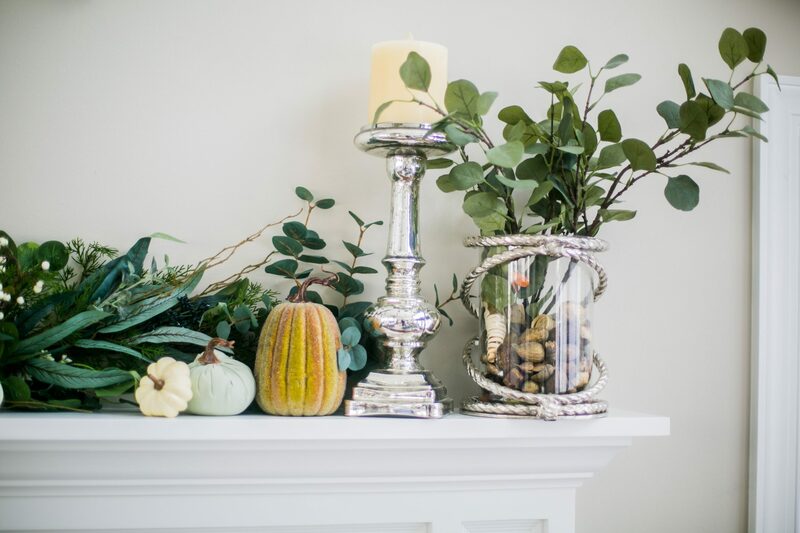 I love that vase at the end of your mantel! Where is that from?